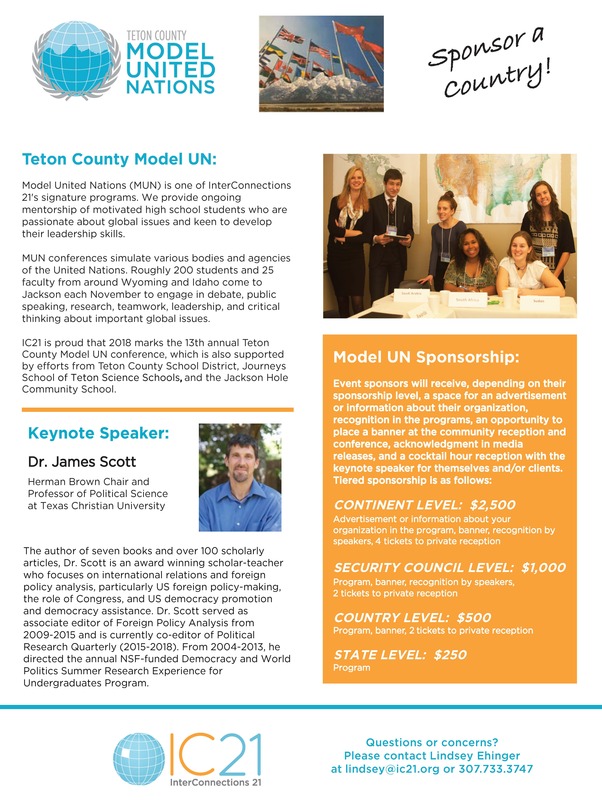 Join dozens of local businesses, nonprofits, and community members in sponsoring the annual Teton County Model UN Conference! Our conference has reached over 2,000 regional students and their families over the past 13 years. Read on for more information about how your organization can benefit while supporting international education, civic engagement, and collaborative problem-solving skills for our local students!